"Most of the Russian kids we meet are similarly generous with what they have, even if in practice they have very little. DJ Eric from Moscow has lent his precious Technics turntables for use at the Youth Palace; Alexei from St. Petersburg gives out little handfuls of dried mushrooms. Eugene and Artur (also from St. Petersburg) want to start up a record shop and label, only they don't have any money and the one means of getting it, going in with the mafia, would put them right in over their heads. and Vadim, who works on the Estonian national radio station in Tallinn, DJ's on tape decks (there aren't any turntables to be had), reads NME in the library at the British Council and spends every spare penny (much to the chagrin of his hard-pressed mum) on the few records which filter over from the West. He hands out a few tapes made up in the Baltic by a guy called Marko Sula, sticks it on a rewired record player and reel-to-reel tape deck. "It's got some really weird noises on it," comments Richard James, in recognition of its value. "Maybe I'll sign it up for Rephlex." Marko Sula, then just a young man in a newly-independent Estonia making experimental music by dubbing sounds from modified electronic devices over one another, had no idea that his tape would be heard and given a thumbs-up by one of today's most idolized electronic music pioneers, let alone have the ordeal go on record. Now 17 years later and still making clever electronic music under the name Out-Or, he gives us his latest long-player Analogue Gentleman via the smart and colorful electronic music netlabel Swishcotheque. Currently armed with a bit more gear, newer technology, and a penchant for fast tempos, Out-Or's fun sounds and body-moving beats firmly place Tallinn on the braindance map. The album's opening track 'xxd23' is an explosion of energy and cerebral composition that will blow you out of your chair, onto the dance floor. It feels as though all of the sounds, patterns, and beats in this track were stuck in a cage like restless circus animals, pounding against the steel bars for freedom until Out-Or opened the gate and released a musical stampede. There are big sounds and small sounds, nice ones, mean ones, all pushing and clawing their way to the front of the mob at once. A cute little melody manages to surface now and then, but the mad ringmaster cracks his whip and sends it back down into the mass of sinister, stabby basslines and unrelenting drums. 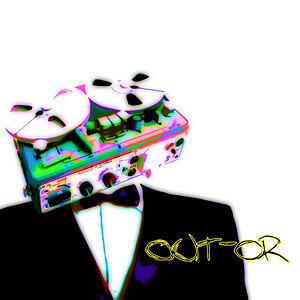 Out-Or conducts 11 acts in total, each with its own unique personality and melodic charm. Track 2 "FGrap one" brings the tempo down a tiny notch to a more comfortable dance pace, but still remains upbeat with manic stuttering synth rhythms and lots of funky cowbell. "Heglep2" features a Moogy sound pallet layered over familiar breaks, giving it a golden era Warp/Rephlex kind of feel. "Acidx" brings its namesake to the party, giving 303 enthusiasts a head's up, but with its repetitive acid pattern and a length of just 1:42, the track is a bit of an effort fallen short. Not to worry however because stand-out piece "Baical" swoops in right after, saving the show with a warm, sneaky bassline full of reverb, a jamming duck call and some heavy synth pads that work together with a glimmering dark beauty. The artist also gives us some style variety with "VGT" covering grimey territory, "4ricy" taking us to a Detroit electro-lounge, and "RwQw" bringing us back around with some classic IDM. The melody in closing track "Janelope" never really seems to resolve, which can leave you feeling unsatisfied. Did Out-Or mean for his finale to keep the audience unsettled? Or perhaps it was meant to provide the perfect segue for an album repeat? We may never know this ringmaster's intentions, but Analogue Gentleman has left me applauding and wanting for more. Bc: Hello there and thanks for taking time out to answer some questions. First off, you are the Marko Sula in the 1994 NME article, right? What did you think when you read it? And as the readers will probably be wondering, did you ever end up working with Richard James / Aphex Twin? Out-Or: Yes, it was my tape and I was very surprised then. It happened a long time ago. I really liked people being interested in my music but regarding a collaboration, I have never worked with Richard. Bc: What was on that tape? Can we hear some of it? Out-Or: There are 8 tracks on it that I made at home with very primitive technics, only 2 tape recorders, record player where i can loop vinyl (i fixed cartridge for looping), old crappy mixer which I borrowed and my old Russian synth called Polyvoks. No effects, no drummachines and nothing else. The sound was very noisy on there because I recorded over and over using 2 tape recorders, adding only one sound each time. If people are interested maybe I will put few of tracks on SoundCloud in the future. Bc: Yes, I think we'd all be interested in hearing that. What year did you start making music and then when did you start recording it to share with others? Out-Or: I started to make my own sounds in 1992 but the sharing began one year later, in 1993. I only kept my playing and experimenting to myself before that. Bc: Was it difficult to find or buy synths in Estonia then? Out-Or: Yeah, it was very difficult. The time was very complicated in Estonia, we just became independent and we didn't have money. All things from the west were expensive. My only opportunity was to use old second hand Russian synths. Those didn't have any midi or cv/gate. My timecode was my fingers and ears :). Bc: Tell us about some of your favorite or most rare pieces of musical hardware to make music with. Out-Or: My hardware has changed a lot from when I started. 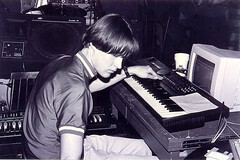 I had only the Polyvoks in 1992 and after a few years I got an Atari ST 1040 which was my first computer, and a Korg Poly 800. I also used my friend's Yamaha YS100 which I borrowed sometimes. All things changed when I got a PC and my first verison of Fruityloops in 1998. I have used different computers and software since then. If I look back to this period Polyvoks is certainly my favorite and rare piece. I also have sampled it and use it quite often in my tracks now. Bc: Are the tracks on "Analogue Gentleman" older or newer than the material on your previous Swiscotheque release "Mistra"? Out-Or: Most of the tracks were made in the same time, there are only few newer tracks on Analogue Gentelman. I record tracks continuously all the time so I have a lot of finished and unfinished tracks from this time which can be gone back to and completed in the future. Bc: Do you have any musical aliases? If so, how does the music differ from Out-Or? Out-Or: My main project has been Out-Or since 1993 but in the year of 2000 I recorded a few tracks under Ataka. They are no different than the Out-Or style, I think. Bc: What has been your favorite gig as a performer? Out-Or: I love all gigs when I perform. There is no favorite, all gigs are different and inspiring. Bc: What is your favorite gig as an audience member? 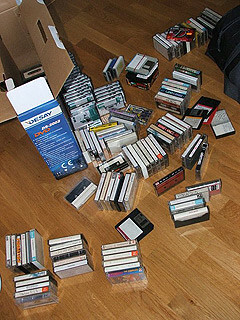 Out-Or: It is very difficult to say what is my fave but I liked Ceephax and Luke Vibert in Kisapuisto 2008 in Finland very much, also AFX in 2000 in Helsinki was mental. Bc: Who are some of your biggest musical inspirations? Out-Or: I get my inspiration from different styles of music and from real life. My main inspiration is life that I feel with my eyes and ears. Also people around me. Bc: Who are some unknown artists we should know about? Out-Or: ...eeee.....mmmm......I don't know but if you are looking on the internet there are a lot of unknown artists. I really like Th'idiot. Bc: So do I. What is a day in the life of Out-Or? Out-Or: A Day starts with coffee and ends in my studio with synths and samples. Basically I listen and make music varied with my other daily activities. Bc: Do you have any pets? Out-Or: No, i like animals and birds in nature. Bc: When someone is listening to Out-Or music, what kinds of emotions would you hope they feel? Out-Or: I hope they just like my music.